A months’-long national shortage of an affordable masculinising hormone has not just adversely affected the health of a number of transgender men but has revealed worrying levels of disregard for the general well-being of a sector of the population already carrying an unusually heavy load of discrimination, stigma and even violence. KARIN SCHIMKE reports. 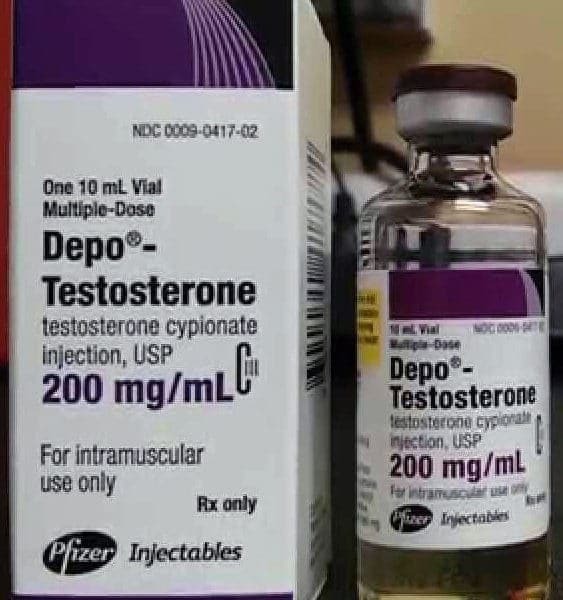 Depo-Testosterone, an affordable injectable hormone used by cisgender men with testosterone deficiencies, transgender men undergoing gender affirming treatment and non-binary people, has been out of stock in South Africa for more than three months. The shortage has been described as life-threatening. GenderDynamiX health advocacy officer Linda Zakiyya Chamane explains that because the medication is chronic, physical manifestations of ceasing to take it are immediately felt, and all these pose not only serious physical health risks, but also have an impact on the mental health. Mbokazi, like many of the trans men Spotlight spoke to, has helplessly had to watch his health decline. It became clear to users of the injectable Depo-testosterone by February that it was difficult to have their prescriptions filled, though some report that their difficulties began in November last year. It appears that this message didn’t filter through until the stock-out became evident to users early in February, at which point Pfizer said in a short statement that stocks would be replenished by the end of that month. Two weeks later, as trans men around the country scrabbled around desperately trying to find stock, Pfizer released another short statement, saying that the interruption was out of their control. SAHPRA has recently undergone restructuring. It used to be known as the Medicines Control Council. She said the internal matter of permit issuing had been resolved in February. Transgender activist, author and general practitioner Dr Anastacia Tomson said not having the permits issued might be valid as an excuse for a period of time but bringing drugs into a country was an operation that had hold-ups all along the way, from lead times, to shipping, to customs to import duties. Depo-Testosterone is used by transgender men as a chronic medication, but it is also used by cisgender men with testosterone deficiencies. Demand for hormones is growing exponentially as more and more trans people come out. Canada and France recently experience hormone stock-outs, and Italy is currently also experiencing one. Last year, the feminizing hormone Premarin was unavailable to trans women in South Africa for several months. “The amounts world-wide don’t seem adequate, especially if you consider how many people who need it don’t even have access to the hormones for a variety of reasons,” says Dr Tomson. The stock-out, which has caused enormous distress, was widely discussed on social media, with users asking for tips on who might still have stock. Cisgender men who had extra vials of the hormone were offering their supplies to desperate transgender men. Some people, like Germaine Gabriel de Larch, decided to try black-market hormones, because the only other masculinising hormone available, Nebido, is expensive in comparison to Depo-Testosterone. “I had to go on to a black-market testosterone as it is the only one I can afford. I have been experiencing exhaustion, nausea, severe light-headedness and dissociation. These symptoms became too unbearable after just two shots and I stopped taking that testosterone a week ago,” they said. “I’m feeling desperate in medical terms as I struggle with mental health issues. Keeping my body hormonally balanced is essential for my mental health. I also worry about the physical effects of low testosterone, which include exhaustion, insomnia and reduced bone mass. Then there are the symptoms which worry me in terms of my gender dysphoria: loss of muscle mass, redistribution of fat to hips and thighs, and the worst, the return of my period, all things that make me extremely uncomfortable and affect my mental health. The stock-out, with its own particular set of frustrations about the lack of communication and the fall-out for individual physical and mental health, has thrown a stark light on much larger issues facing — by some estimations — around one in 200 of our fellow citizens. De Larch says. “I’m feeling despondent, anxious and let-down by a system that is supposed to provide us with the human right of access to healthcare. The lack of response to this healthcare crisis points to a lack of concern and a lack of awareness of the magnitude of this issue for the trans, non-binary and intersex community. “What needs to change is the medical and healthcare sectors being more serious about providing healthcare to these minority communities, and being more understanding of how this stockout and the larger apathy towards the concerns of the trans community needs to be analysed in order to cater to the health issues of trans people.